Since its inception in the 1960’s, many homeowners across the nation have been taking advantage of a reverse mortgage loan. Seniors who own single family homes or own a multi-unit property while residing in one unit are amongst those eligible for this amazing financial tool. However, what you may not know is that seniors who own manufactured homes may also be eligible as well. A manufactured home is defined as a dwelling unit that had been built in a factory on a permanent chassis including a steel frame and axle, and then towed to the site on its own wheels. Once at the site, it is attached to a permanent foundation system. 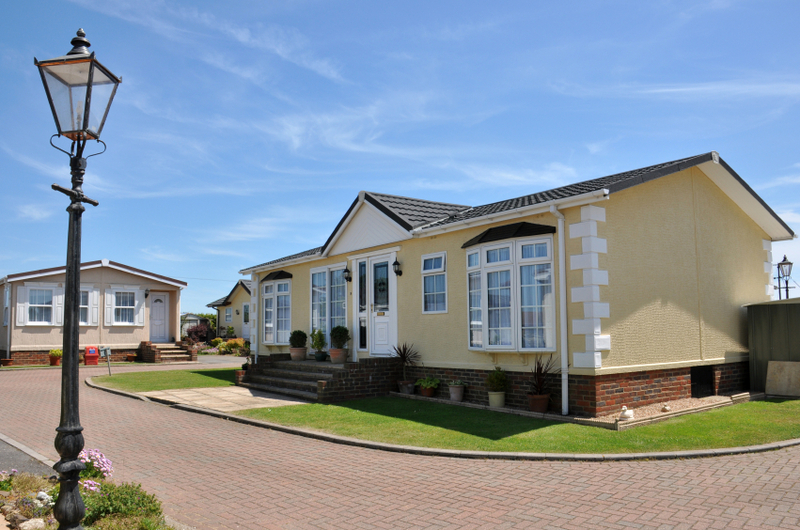 Although mobile homes are generally not a property type that is eligible for a reverse mortgage, some manufactured homes are approved by the Department of Housing and Urban Development (HUD) and meet Federal Housing Administration (FHA) requirements. The Home Equity Conversion Mortgage (HECM) includes the following requirements for manufactured homes to be eligible. 1. Your home must have a HUD seal affixed on the outside of the home, which proves that the home conforms to the Federal Manufactured Home Construction and Safety Standards, under HUD code. 2. Your home must be produced after January 1, 1990. 3. Your home must be taxed and classified as real estate and must be designed to be used as a dwelling with a permanent foundation built to FHA requirements. 4. Your home must be in its original location. The only acceptable move the home must have encountered was the move from the factory to the dealer and then to the site. Once on the site, it must have remained there permanently. 5. Your home must have at least a minimum floor area of 800 square feet. 6. Your home must not be in a condominium association. 7. Your home must be built and must remain on a permanent chassis. 8. Any wheels, axels, or a hitch must be removed from your home. 9. Your home must be permanently attached to the property. 10. Your home must have acceptable perimeter enclosure (skirting is a must). 11. Beneath your home, the finished grade must be at or above the 100-year flood elevation. 12. Your home must have an engineer’s certificate stating that the foundation meets HUD guidelines. 13. Your home must have permanent installed utilities that have been protected from freezing. 14. Your home must have the affixed HUD tag or data plate, and the appraiser must include the serial number on the appraisal report. 15. Your home must be doublewide or bigger. 16. Your mortgage must cover both the unit and its site. 17. You must own the land the home rests on. 18. You must meet any additional requirements specified by your lender and HUD. If you have questions, talk to your American Advisors Group Reverse Mortgage Professional at 1-888-998-3147. They can answer all your questions and will guide you in the entire process of getting a reverse mortgage for your eligible manufactured home.